For night owls, waking up early is the painful process of wandering around half asleep and trying to be efficient at work after a few cups of coffee. Is there any way to escape this unbearable cycle? We gathered some tips to help you make your mornings more relaxing and productive. Struggling to wake up in the morning is a well-known nightmare that many of us go through. Regardless of the amount of sleep you get, you still might feel tired and unable to move from your bed. No matter how much you try to talk yourself into waking up early because it’s known that an early bird catches the worm, you still can’t be pulled out of bed. Avoiding to go to sleep, so you don’t have to wake up leads to insomnia and sleep imbalances. 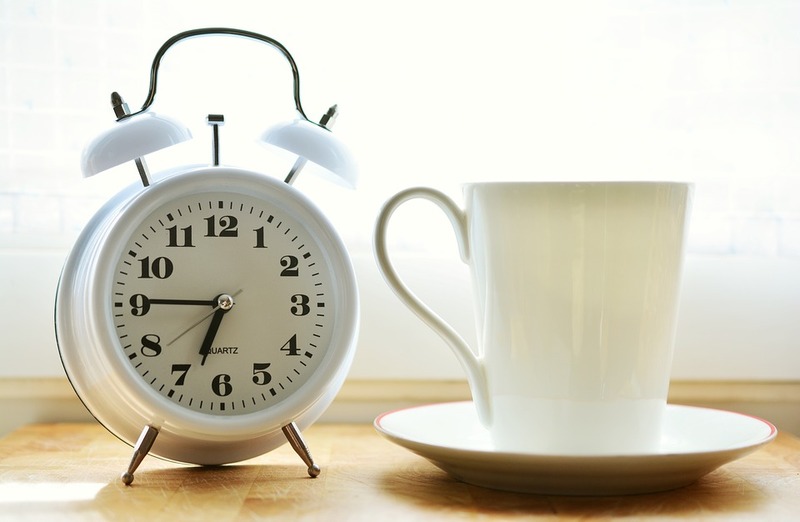 So what can you do to avoid hitting the snooze button and being always late? Even if sleep inertia may not sound like a serious problem when coffee seems to be the solution to your grogginess, impaired motor dexterity, and low cognitive ability all of these impact one’s productivity and functioning. So how can you help yourself to avoid feeling miserable in the mornings anymore and stop sleeping through your alarm? You could try sleeping cycle apps that will wake you up based on your sleeping pattern or the popular alarms on wheels, even though, waking up to catch your alarm is not really the most relaxing way to start your day. But even with these accessories, you may still find ways of delaying to get up from bed. Maybe you already have heard advices like : ‘go to sleep early’ or ‘have a consistent schedule,’ but none of them actually worked. Dealing with depression is another problem faced by night owls. In this case meditation and some quiet moments during sunrise can help. You also need to find the motivation to get up. Sometimes it is as simple as walking your dog, but other times, working with yourself on deeper levels may be required. Having two differently timed alarms can be helpful too. The first one should give you a cue that it is time to wake up soon, while offering enough time for your body to awaken. The second one should get you out of bed to turn it off. You could use that trick even during your leisure time. As hard as it sounds, waking up early even during weekends adapts your body to your normal schedule during the week. Pick a reading bed pillow, make some coffee and choose your favorite book to start your weekend with. If you prefer physical activity plan a trip in advance or some exercising to boost your metabolism. Having a pre-bedtime routine helps your body to learn how to relax. You can include writing your thoughts into a journal so your mind will not feel the need to go through the recent events for the whole night. At the same time, you have to avoid using gadgets with backlit displays before bed. The blue light from screens deceives your brain into thinking it’s daylight outside, and that’s why you will stop feeling sleepy. In case using your phone before sleep is required, you can use apps that change the phone’s brightness or chromatic tone to warmer colors so they won’t disrupt your sleeping pattern. Light is an important factor during sleep, so its color dictates your brain when to wake up and when it’s time to rest. There are interior lights made on the same principle as nature works over your body. This type of light can naturally awaken you by changing color so that your brain can understand when it’s morning. Dozing off during the day can mess with your need to sleep during the night, so it’s best to avoid them. Of course, another thing to avoid on late hours is coffee or stimulants. Adjust the room temperature according to your needs. Some people prefer colder rooms so that they can fall asleep covered by comfy blankets while others feel wary throughout warm summer days. You can use background noise to fall asleep easier, but avoid leaving your TV on because your sleep quality can be altered by the sounds and the light.